We track every Game Boy Color video game purchase on eBay to bring you the most accurate video game prices around. Nintendo Game Boy Color Pokémon Limited Edition Console NEW SEALED MINT VGA 85+! 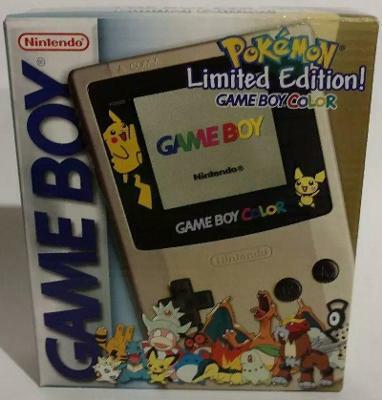 Nintendo Game Boy Color Pokémon Pikachu Edition Gold & Silver ? RARE ?